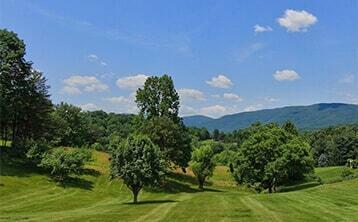 Virginia is a beautiful state with diverse geography ranging from oceanfront to mountainside. No matter the price range, Virginia Estates can assist you in finding the ideal plot of land to invest in, subdivide or build upon. Virginia is a beautiful state centrally located on the east coast and bordered by five states, Washington DC and the Atlantic Ocean. It is the 35th largest state in the US, with a diverse economy ranging from agriculture, coal, tourism, food, textiles and paper products. In addition to the work done in Virginia, tens of thousands of residents commute to Washington, DC for government jobs and other employment. Unlike other types of real estate, vacant lots do not need renovations or upkeep for the most part. The biggest question you should be able to answer is, “Is this property suitable to build upon?” If the answer is yes, you certainly do not need to be the person who builds, but that will be the person you are likely to sell the property to. Forget about having those awful tenants and 3 am phone calls to fix the plumbing, or any number of issues that can come about with owning buildings. 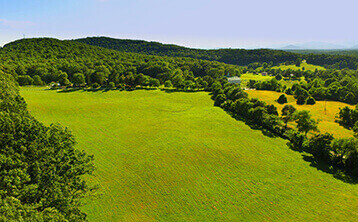 Land for sale in Virginia is just that, land. No mold, no leaking roofs, none of that to be seen or heard about. When purchasing land for sale in Virginia you do not need to worry about who you are bidding against, largely because most real estate investors are thinking about houses, apartments, and commercial buildings. Find the people desperate to be rid of their extra land, and you can get it for pennies on the dollar with no one in your way. Start with what you have, forget the banks. The great thing about land for sale, it tends to be much cheaper than land with buildings, and there is a large price range. If you do not want to deal with banks, or have a huge mortgage, then don’t. Stick within your price range, and as you make money on your investments, you will have more money to invest. Simple enough logic. 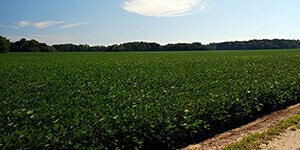 Land for sale in Virginia is not growing with the demand for it, it is shrinking. There is only so much land, and then it is gone. Basically it is a “get it while you can” investment because there is a finite amount of it. So if you want to invest your cash in something that is fairly inexpensive in the long term, it is seriously time to start investigating the benefits and options of land for sale in Virginia. Now that you know and understand the reasoning behind investing in land for sale in Virginia, it is key to understanding the options, as well as the fact that you do not necessarily need to live anywhere near the land unless you would like to. Perhaps you would like to purchase a large plot of land, subdivide it, and build yourself a home while you put the other parcels of land on the market, this is a totally reasonable idea. That is just one way of handling your newly purchased land. Quite often the investor and the land see little of each other, because it is possible to purchase, own and sell the land without being present at the site. Revisiting an earlier topic, there are five distinct geographical regions with land for sale in Virginia. This area is also known as the Tidewater and reaches to the Atlantic Ocean. Land here is popular for people who wish to be close to the water and is a great place for the tourism industry. There have been a few established vineyards and wineries, but the industry is currently underdeveloped in this area. The ACP is further divided into the mainland in the west and a peninsula known as the East Shore. The Piedmont is west of the Atlantic Coastal Plain. Quite literally the French meaning behind the word “piedmont” translates to ‘pied-‘ meaning foot, and ‘-mont’ meaning hill. This is because the region is largely represented by low, rolling hills. The land for sale here tends to be comprised of fertile land and magnificent views. Further west still are the Blue Ridge Mountains. Its elevation is much higher than both the Piedmont region to the east and the Ridge and Valley region to the west. Mount Rogers is located here in the Blue Ridge, and it is the highest point in Virginia. This area is packed full of vineyards, wineries and breweries, and is excellent for all types of agriculture as well as tourism. 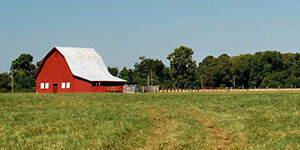 This region is also referred to as the Great Valley or the Valley of Virginia. The name of the region speaks for itself, as it is composed of a series of valleys and mountains. Here you will find the Shenandoah Valley, which is the most popular of the valleys, and quaint towns are sprinkled throughout the region as well as lesser populated areas and farmland. 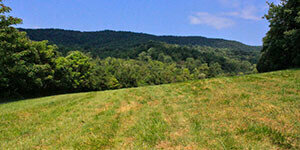 The furthest region southwest in Virginia, this region is largely characterized by rivers, streams and forests. It stretches down to Kentucky and there it is referred to as the Cumberland Plateau. If you are interested in purchasing land for sale in Virginia, contact Rick Walden at Virginia Estates for immediate personal assistance. With over a decade of experience and knowledge, the professionals at Virginia Estates can assist you in finding the ideal piece of land for sale in Virginia, according to your price range and desires. You can reach the office at (434)296-1234, or Rick Walden at (434)981-5923.